General Musharraf was targeted as he crossed the Jhanda Chichi bridge near the 10 corps headquarters in Rawalpindi shortly after arriving from Karachi on December 14. 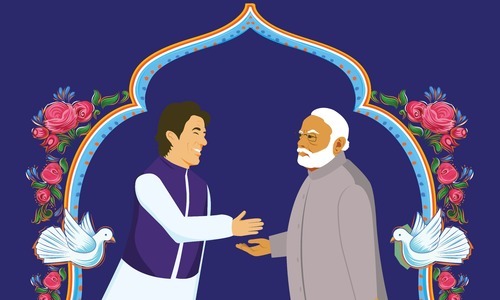 The Jhanda Chichi bridge had been wired with an estimated 250 kilograms of explosives, making it the most serious attempt till then on the life of Pakistan’s military ruler. 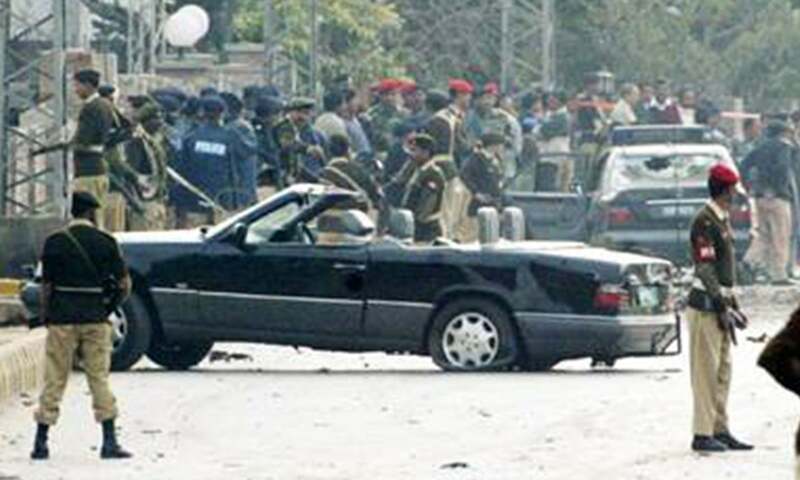 However, a mere 11 days later, terrorists struck again as two suicide bombers tried to ram cars packed with explosives into the presidential convoy, not far from the venue of the first attack. 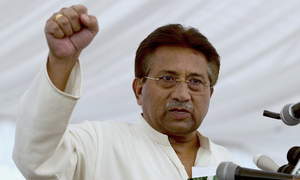 The December attacks bring the total number of attempts on General Musharraf’s life to four. He was first targeted in Karachi on April 26, 2003 when terrorists tried to blow up a car parked on Shahrae Faisal as his convoy was passing by. No one was killed in the December 14 attack while 14 including the two suicide bombers died in the two-pronged suicide attack on December 25. Senior government and military officials contacted by the Herald readily admit that such a calculated series of attacks in a highly protected military area close to the Army House and the corps headquarters calls for a radical rethink of the president’s security. The principal worry, these sources point out, relates to the fact that terrorists may have regular access to top-secret information about the general’s movement inside the country despite the fact that his itinerary is never disclosed. In the two previous attempts, the suspects included an officer of the rangers and a naval dockyard worker which means the similar involvement of low-level government officials in the December attacks cannot be ruled out. This obviously reflects poorly on the competence of the army’s Special Services Group (SSG) which serves as General Musharraf’s personal security guard. As expected, the lapse was noticed at the highest level: on December 18, General Musharraf replaced the director-general of military intelligence Major General Tariq Majeed with his military secretary Major General Nadeem Taj. Meanwhile, preliminary investigations have thrown up some specific areas where the security lapse was particularly appalling. Investigators argue that it would have taken the terrorists hours to lay down 250 kilograms of explosives under the culvert and wire them up with remote controlled triggers. The material used to blow up the bridge is known as C4 explosives, the highest quality plastic explosives used by militaries all over the world. The explosive material, which can easily be moulded into any shape, has been expertly tied to each of the five horizontal bars on the side of the bridge that had no load bearing pillars. And the estimate of the quantity of explosives used in the attempt cannot be too far off the mark: the blast was so powerful that a thick layer of reinforced concrete was literally ripped off the bridge. It is astonishing that they managed to do all that without being noticed in what is primarily a military neighborhood. Interior Minister Faisal Saleh Hayat told Parliament on December 15 that those responsible for the president’s security were being questioned. He also said that the main focus of investigations was on the explosives and how they were placed under the bridge. The panic that has hit the president’s security staff after the two assassination attempts revolves around the problem of creating a watertight security regime. Already, the president is surrounded by a security protocol that can be ranked amongst the most stringent in the world. The only predictable part is the fact that he mostly uses the ring road to get on to the Kashmir highway for his trips between Rawalpindi and Islamabad since it bypasses the busier urban areas. However, before his motorcade sets out, hundreds of security personnel are deployed to check for any suspicious movement or presence along the route. And bridges receive special attention as they are obvious places for planting bombs. Besides other security cars and ambulances that usually accompany the presidential motorcade, a discreet force of about 20 SSG troops called the Rapid Reaction Force follows the presidential convoy and maintains a 45-second distance from the main convoy. Intelligence sources say General Musharraf himself decides at the last minute in which car he will ride. Helicopters, too, are routinely used to keep a close eye on the route. Then there is the presidential armoured Mercedes which is built like a fortress on wheels. No know bullet can pierce its armour. In fact, the presidential Mercedes currently in use has been designed to withstand even chemical and biological attacks. It can keep running even if all the rubber is blown off its tyres and it is surrounded by a five inch thick armour which can withstand rocket-propelled grenades. But all these security arrangements have come into question since the December attempts on the general’s life. Officials close to the investigations told the Herald that investigators are convinced the only security feature that seemed to have worked on December 14 was the VIP-2 Bomber Ranger. It is a highly sophisticated and extremely expensive piece of counter-terrorism equipment, primarily meant to analyse and jam radio signals for remote-controlled devices which seem to be the weapon of choice for most terrorist these days. The jammer usually works by emitting a magnetic pulse to block frequencies used for remotes as well as signals from precision timers. It was only the 55 second delay caused by VIP-2, say these sources, that saved the president’s life. The VIP-2 jammer is being used in various parts of the world to protect high profile personalities. Given that the existing security arrangements have proven to be inadequate—at least to the extent that the terrorists managed to get close to the president’s cavalcade not only once but twice- it has now been decided to install cameras on the long and tricky Kashmir highway. A central monitoring room has been established at the Inter Services Intelligence (ISI) headquarters to monitor General Musharraf’s movements starting from his early morning drive from Rawalpindi to Islamabad. To keep an eye on the long route, which passes through some dense patches of trees around the federal capital, the agencies have even planned installations of cameras on trees to record every movement on the road leading to Murree and areas around Islamabad. In addition, the Herald learnt that the presidential security team has also recommended the installation of the highly sophisticated SSR 2000 Radar Imaging system to monitor the presidential route on Kashmir highway. The SSR 2000 is an advanced detection system which helps locate explosives and weapons even if they are hidden inside walls, floors, cabinets and other hard-to-access locations such as concrete walls up to 10 inches thick. The new security protocol also includes plans to have more than one presidential cavalcade. The idea that no one outside the cavalcade should know exactly which car the president is travelling in, thereby minimizing threat of an attack. The airspace over the president’s secretariat and the GHQ remains closed to commercial air traffic. General Musharraf, who usually carries a pistol, wears a bullet proof jacket with metal shock plates, built specifically to stop bullets and other small projectiles. There are also reports that the General may start using ‘doubles’ for extra protection. Suicide bombers pose a particularly tricky threat and it is primarily with this in mind that General Musharrraf has been advised to avoid showing up in public unnecessarily and to refrain from embracing or even shaking hands with anyone. As far as the fears of a missile attack are concerned, plans to equip the presidential plane with the most modern anti-missile system are already in their final stages. This system carries airborne laser weapon technology that can shoot down missiles before they reach their target. The airborne laser weapon system operates at relatively high altitudes from where it can track missiles as they start gathering speed. As soon as it has locked on to an incoming missile, it fires high-energy laser beams that can force premature detonation. Security experts say that the threat of a missile attack on the president’s plane must not be played down given that Pakistan has twice lost key members of its senior military cadre in aircraft-related incidents. On August 17, 1988, General Ziaul Haq’s C-130 aircraft went down near Bahawalpur killing most of the army top brass as well as the then US ambassador in Pakistan. Some 15 years later, on February 20, 2003, Air Force chief Mushaf Ali Mir along with several senior army officers lost their lives in yet another mysterious plane crash near Kohat. This is perhaps the reason why US security experts were quick to recommend an anti-missile system for the presidential aircraft when they were consulted on the issue in the wake of 9/11. Their suggestion was duly approved by General Musharraf despite the high cost involved. Another contentious issue was that of the system’s installation, as the Pakistani’s did not have the required expertise while the general’s security advisers were not entirely comfortable with the idea of letting the Americans carry out the entire installation. According to the latest reports, it has finally decided to go ahead with the anti-missile system which is costing Pakistan an estimated 15 million dollars. Political observers are of the opinion that irrespective of all the additional security measures being currently undertaken, the threat to President Musharraf from extremists is unlikely to melt away with time. Given that his foes are adept at using all kinds of unconventional means for furthering their agenda, no amount of sophisticated technology can provide cast iron guarantees for his security. It was a combination of sophisticated technology and sheer good luck that saved Pakistan from yet another political upheaval last December. Security officials entrusted with investigation into the two attempts on General Musharraf within a space of 11 days are now trying to put together the pieces of what looks to be an extremely complicated jigsaw puzzle. Having examined the evidence recovered from the scene of December 14 attack – five detonators, a control box and the supply line leading to the explosives- investigators have succeeded in unravelling some pieces of the puzzle. Well-placed sources told the Herald that there is a strong possibility of the involvement of some al-Qaeda operatives who may have been acting in collusion with some local militant outfits. Sources in the Pakistani intelligence network say that the December 14 attack may have been a follow-up of the threats hurled at General Musharraf by a top al-qaeda leader a few months ago. Osama bin Laden’s deputy, Dr. Ayman al- Zawahiri had called upon the Pakistani security forces to topple General Musharraf for “betraying Islam”. This was communicated via two separate messages aired by Arabian channels al-Jazeera and al-Arabiya on September 10 and 28 respectively. The two channels reported that al-Zawahiri’s message was received through an anonymous phone call, possibly from Pakistan. Those investigating the December attempts believe that al-Qaeda became more active in Pakistan after al-Zawahiri’s message was aired. According to their information, one of the FBI’s most wanted al-Qaeda operatives, Hadi al-Iraqi, is currently operating from the North Waziristan Agency on the Pak-Afghan border, along with a Pakistani named Amjad Farooqi who is wanted for his suspected involvement in the brutal murder of American journalist Daniel Pearl. These circles believe that Hadi may have travelled to several Pakistani cities, of late coming as far south as the port city of Karachi. Despite being an Arab, say these sources, Hadi speaks fluent Pashto and some Urdu, and can easily pass as a Pathan. As such, conclude these sources, Hadi may well have come down to Rawalpindi to plan the December 14 attack. Similarly, initial investigations in the two-pronged suicide attack on General Pervez Musharraf on December 25 have hinted at the possible involvement of Brigade 313, a loose alliance of five militant organisations including Jaish-e-Mohammad, Harkatul Jihad al-Islami, Lashkar-e-Taiba, Lashkar-e-Jhangvi and Harkatul Mujahideen al-Alami. The alliance came into being shortly after the US started to bomb Afghanistan in October 2001. The leadership of this alliance has pledged to target key Pakistani leaders who, in its opinion, are ‘damaging the cause of jihad’ in order to ‘further the American agenda in Pakistan’. According to investigators, the two suicide bombers responsible for the December 25 attacks have been identified as Mohammad Jamil, a Jaish-e-Mohammad activist from Azad Kashmir and Hazir Sultan, a Harkutul Jihad al-Islmai operative from Afghanistan. Jamil 23, was a resident of Torarh (police station Androot) in Poonch district of Azad Kahmir. Sources claim that his identity was established after the detectives rummaging through the debris came across his national identity card amidst some human remains. Jamil, say sources, had gone to Jalalabad via Torkham in January 2001 through an Afghan cloth merchant in Azad Kashmir for the purpose of acquiring military training. Afterwards, he moved to Kabul and started living in the Darul Aman area on the outskirts of the Afghan capital. However, Mohammad Jamil was seriously injured and eventually captured by the Northern Alliance when the latter entered Kabul after the fall of the Taliban. He was shifted to a Kabul hospital where he remained under treatment for 15 days. He was handed over to Pakistan under an agreement between the Afghanistan and Pakistan governments. Jamil, along with 30 other militant, were flown to Peshawar in a military aircraft. They were taken into custody and charged with immigration offences. But after being interrogated in April 2002, Jamil was set free as nothing incriminatory was found against him. The second suicide bomber, Hazir Sultan, 42, was affiliated with the Harkatul Jihad al-Islami and belonged to the Panjsher valley of Afganistan. Intelligence agencies have arrested five close aides of Hazir Sultan all of whom have identified his body. Hazir was camped in South Waziristan Agency and was apparently there during the Wana operation on October 2. Investigators believe he had moved to Rawalpindi a few days prior to the December 25 attack, apparently to finalise the plans for the assassination attempt. Following the identification of Jamil and Hazir, investigators turned their attention to other components of Brigade 313. Going through the various interrogation reports of militants arrested earlier, they started putting the big picture together piece by piece. The arrested leader of Lashkar-e-Jhangvi, Akram Lahori had revealed duyring his interrogation that over 100 members of the Harkatul Jihad al-Islami had taken oath on the Quran in May 2002 to physically eliminate General Musharraf at any cost. Lahori’s revelations later led to the arrest of three hard-core Harkat activits - Mohammad Imran, Mohammad Hanif and Sheikh Mohammad Ahmed – for their alleged involvement in the April 26 attempt on General Musharraf in Karachi. A day after the December 25 suicide attack in Rawalpindi, security officials also arrested Maulana Masood Azhar’s younger brother and the deputy chief of the defunct Jaish, Mufti Abdul Rauf, from Rawalpindi. Intelligence sources confirmed to the Herald that Maulana Abdul Jabbar and Maulana Abdul Rauf were being questioned to ascertain whether their factions had any lengths with the al-Qaeda network. A manhunt has already been launched for Maulana Masood Azhar who went into hiding after the government re-banned his group in November 2003. Among other things, intelligence agencies are trying to determine the number of suicide bombers raised by various components of Brigade 313. In this connection, they have intensified their hunt for at least five members of Jaish-e-Mohammad and Jamaatul Furqan suicide squads. These include Abbas Haider of Sibi, Naeem and Safir from Bhakkar, and Adil and Tahir of Mailsi. Five of their associates died in the year 2000 while carrying out suicide missions in Islamabad, Murree and Taxila. These were amongst the first major suicide missions carried out by religious militants in Pakistan, in the wake of Pakistan’s policy shift after 9/11. Investigators now believe that suicide bombers pose the single largest threat to Pakistan’s security. Information Minister Sheikh Rashid Ahmed has made several statements since December 25 regarding the possible identity of General Musharraf’s would-be assassins. 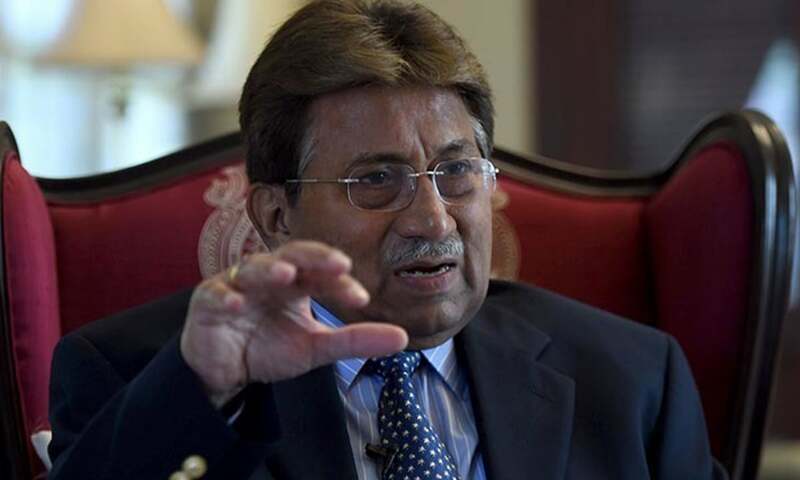 According to the minister, Kashmiri and Afghan militants may have come together in a bid to eliminate General Musharraf. He has also described the terrorists’ network as “huge” with its “tentacles reaching from Kashmir to Afghanistan”. Sheikh Rashid said most of these terrorists may also have linkages outside Pakistan. Of the five components of Brigade 313, at least one – Harkatul Jihad al-Islami – was a purely Afghanistan-based outfit until its leader, Qari Saifullah Akhtar, fled Kandahar when the US bombing of Afghanistan began in October 2001. Harkat was initially allied to Afghan leader Nabi Mohammadi but became Kandahar’s most prominent militant outfit following the rise of the Taliban. In the late 1990s, Harkat was credited with providing Pakistani fighters to the Muslim militant formations fighting in Chechnya and other places in Central Asia. Qari Akhtarleft Kandahar to settle in Pakistan where he eventually became a member of Brigade 313. This article was originally published in the January 2004 issue of the Herald. To read more subscribe to the Herald in print. If Musharraf was truly autocratic, after each attempt, thousands would have been rounded up on the slightest suspicion and tortured. The ghost continues to haunt us. @Yawar agree 100%. read ayaz amir interview, he says without doubt PM's credentials towards media are the most democratic. @Yawar most certainly, for his country, he and his predecessor General Ayub Khan were the best rulers. He's a brave soldier. fought all three wars and was even with his soldiers behind enemy lines. There is no question on his loyalty and love for Pakistan. @SYED BAQAR AHSAN I think Kargil was in Pakistan interest but nawaz failed to convert it into political win. If he gave a good gesture for cease fire that’s a good image, ok we are no doing you are sill doing it. I think he saved AQ Khan coz USA wanted him to be handed over and that’s the way gen. Kept him in the country and protected him. Do you think it was a wise de ision to hand over him to any other country, then posssibly you would say Gen. handed over Pakistan citizens. Yes,he could build kala bagh dam, but he never. 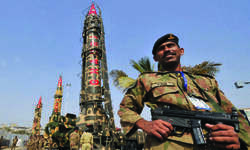 May be something at stake that we public might not know, as Gen. or security forces have better picture. Allowed corrupt politicians back to the fold after wasting public money on investigations.